This article marks the first in a series of four tutorials that seek to answer a hard question DJs and producers face constantly: with a good strategy, the right tools, and a little guidance: could you get good at social media, double your followers, and enjoy the process at the same time? That seems like a tall order, but with the help of a few industry heavyweights I am going to try to do just that – and share what I learn with you in the process. First, a small confession is in order. 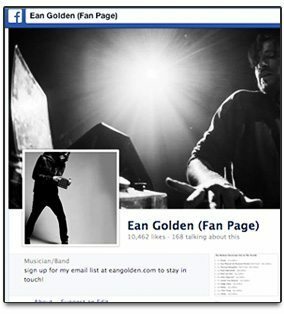 I have been avoiding social media for years – and my fan numbers on Facebook reflect it. The reason was simple, it seemed like a total waste of time. Why spend all day posting small bits of information when you could instead work on a helpful video tutorial, design a new product or write a great article? 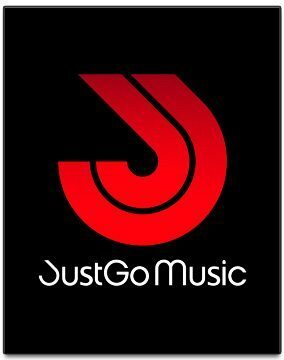 That was until I met Terry Church, co-founder of JustGo Music, former founder/editor of Beatportal, past editor of DJ Mag, and a social media expert who has worked with some of the biggest DJs in the world including David Guetta, Eric Prydz, Luciano, Dubfire, Sebastien Leger, and Satoshi Tomiie. Terry helped me see that social media can be a great way to provide real value to fans, just in small, easily digestible bite-sized chunks. 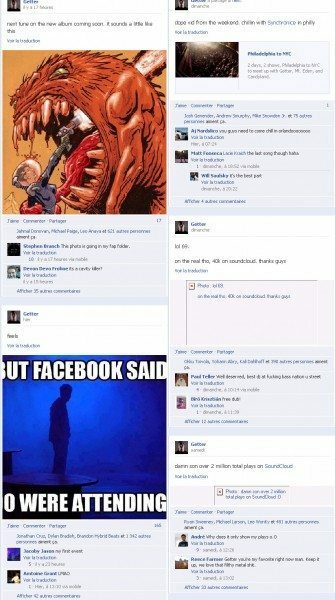 Make no mistake, many of these “social” sites are a vacuous wasteland of wimpy words – but if used properly, they can be powerful connectors of people too. Terry explained that many fans might not have time to listen to a full song or a mix when they are at work or at school, but they will still get a lot of value from small, meaningful interactions with artists. Social media can provide the glue that keeps us closer and fills the gaps between big releases. Ok – I’m sold. 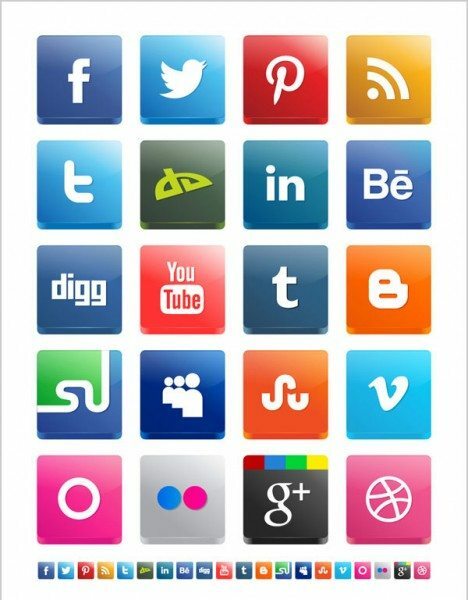 Social media canbe valuable – now what? Over the next four week, I will undergo a social media “make-over”. With the help of Terry (pictured at right), and a few other industry experts, we are going to inject a lot of life into my Facebook, Twitter, Soundcloud, and Instagram pages. By providing consistent value to fans through the sites they use regularly, we plan to double my followers and teach me how to use the platforms better in the process. My hope is that you will follow along, and learn the principles too. Perhaps you could even follow the same protocols, set a personal goal, and complete your own social media upgrade over the next 30 days. 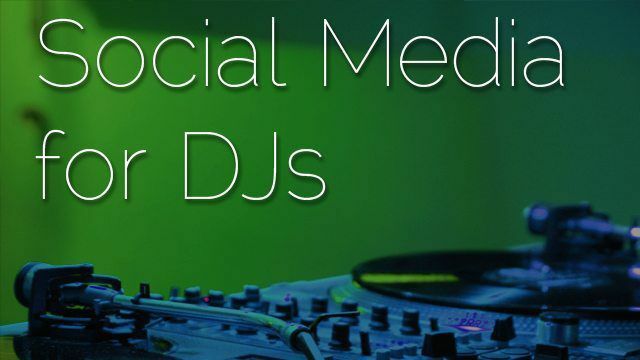 Every Wednesday for the next four weeks we will publish a different set of strategies, and specifically explain how DJs can better connect with their fans. Week 1 – The Plan (This week) How to create a plan, and build the framework for success. Week 2 – The Gigs What to do on social media before, during, and after a gig. Week 3 – Rich Media Great content that people will love. Week 4 – Wrap Up Good tools that will build your fan base and a summary of everything that we learned. Ok, it all starts here . Let’s dive in and set the stage for the work to come. Great content drives high engagement - and new fans! So step 1 to excellent social media communication is building a folder of content, that you will then share over the next month. 30 photos – throwbacks, current, flyers, behind the scenes shots, and studio snaps. 4 Unreleased Tracks – things I am working on or tracks that have not been published yet. 4 Special Mashups from the Past actual audio files from my controllerism performances. 1 New DJ Mix – a full fresh mix that summarizes my sound right now. 1 Fun DJ Mix – a unique mix that is a different sound or style to my normal sets. 1 Competition – a competition to get into a Q&A Google hangout with me. 5 Songs I Like – great tunes that you might like too. 2 Mixes from Other DJs I Like – good examples of quality work, and mixes that I think are special. 3 Industry Commentaries/Opinions – personal insights, rants or perspectives on the DJ industry and scene that I represent. Great Performance Videos – past videos and unreleased content from previous performances. Step 2. 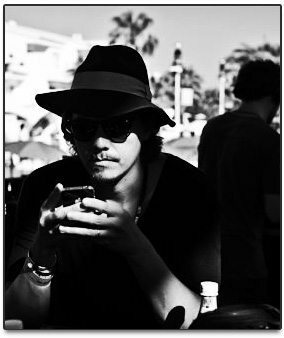 Collect, organize, and schedule: Terry’s social media protocol involves posting a lot to Facebook and Twitter on a daily basis. This is unrealistic for most people, but especially busy artists. The way to get around that is by pre-collecting and creating a folder of assets in advance. Create a social media folder and group all of your assets into types. For the text based commentary – pre-write as much as you can, and put it all in a well organized text document. Provides an overview of your social media profile, and shows you how things are doing statistically so you can learn how to communicate better. Allows you to schedule and plan the publishing of content in advance to Facebook, Twitter, Soundcloud, YouTube and Mixcloud – critical for effective time management. 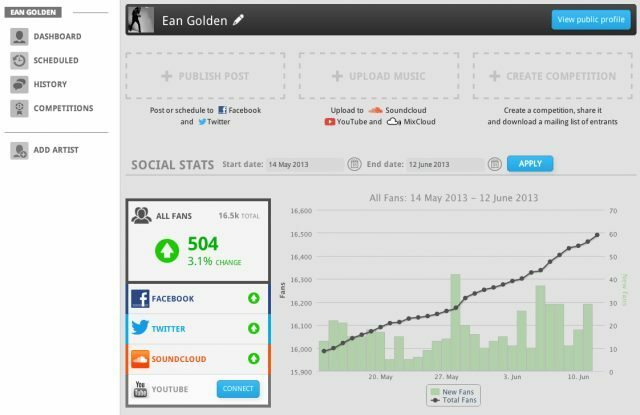 16.5k fans - can I double it in a month? This is the test! Not all of these posts need to be high value, media rich content, so the schedule will spread out your most valuable assets and balance the really juicy material with commentary and quick snippets. One other critical thing to consider is the content itself. The easiest way to do that, is by thinking about what kind of posts you like to read on social media. Your personal publishing schedule will depend a lot on the types of assets and media you plan to share. The key is balance them out and keep things consistent. Want to see this series in action? Head over to my Facebook page and give it a like to follow along with my month-long quest to strengthen my presence in the social media world.